Today’s post is on a topic that is near and dear to my heart personally, but something I don’t seem to write about near enough. Maybe I shy away because I don’t want to discourage anyone from getting outside, no matter how they do it. 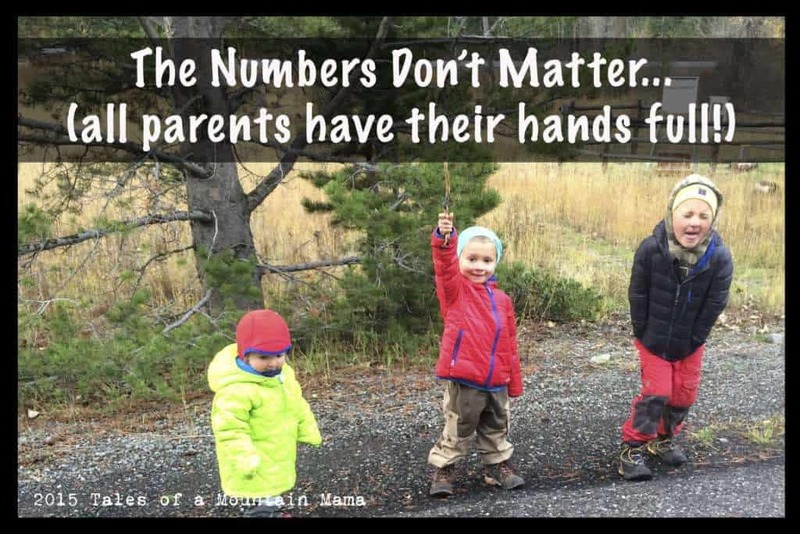 And that is the truth – if you are getting outside with your family, I applaud you. 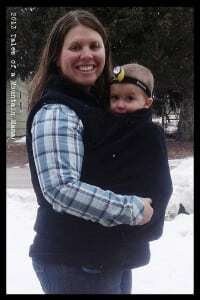 But, here’s the fact – babywearing is THE only repeatedly successful way that we were able to get outside continuously as a family when our children were very young. That said, our kids were also in our Chariot from a very young age, but they were also worn and snuggled and kept warm and safe from the comfort of a quality baby carrier more often and from the very very beginning. It is the reason I so readily support, endorse and am an Ambassador for Boba (my top choice after trying out dozens of other carriers.) It was (and continues to be) my life-saver and “sanity carrier” (for the babies and me). As a mother, I have found great freedom in wearing my children (and continue to do so even now.) Admittedly, I looked forward to the day when they were old enough to safely ride on my back (because it is so much easier to not have to work around them on the front). But, both my boys, by sheer necessity both physically and emotionally, experienced the world from the view of my body (or their Daddy’s) while we continued with our lives both indoors and outdoors. Even now P climbs onto my back (Boba or not) when he is tired and starts playing with my hair. It is his comfort-zone. It is where he spent/spends time when he needed/needs me (because he was young, teething, tired, sick, or just wanted his Mama.) 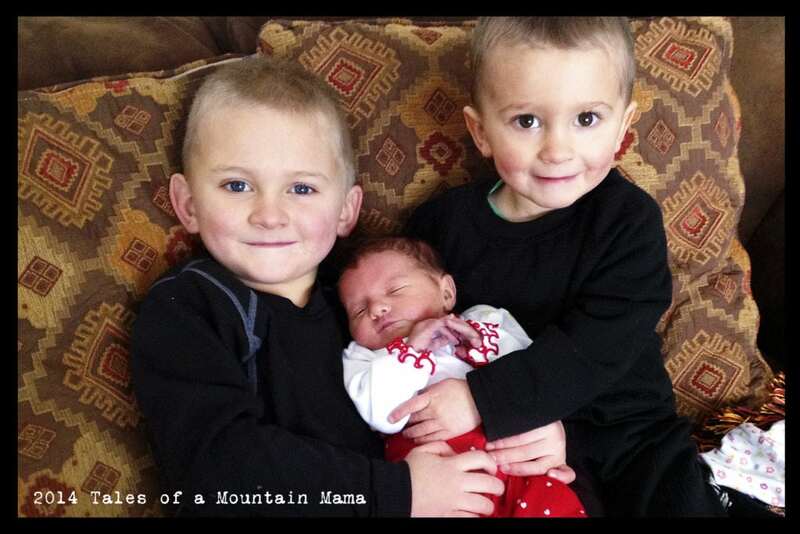 Both the boys are bonded to both Mtn Papa and I because of the time we spent (and continue to spend) together. It is one of the best parenting decisions I keep making. Let’s get a discussion going…..
How are you creating a lifelong bond with your child? Do you babywear? Do you feel limited by having a newborn? How do you get out and take time for yourself when your kiddos are young? I will be actively chiming in here in the comments and on our Facebook page too. Please join me. We all have different parenting styles – let’s embrace them, learn from others and be inspired! 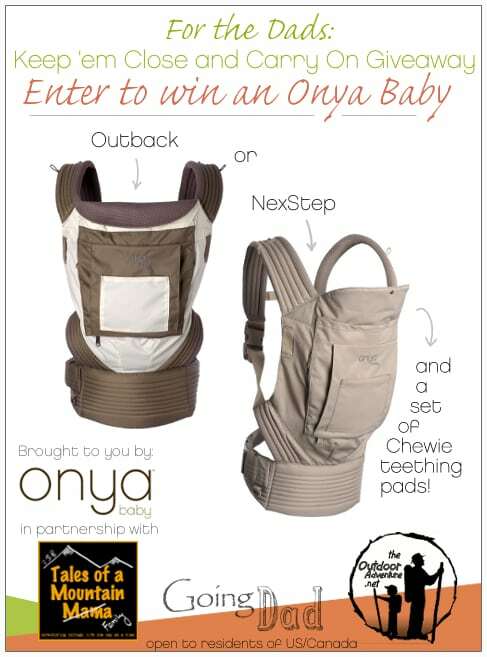 This post is sponsored by Boba Baby Carriers as part of the Boba Ambassador program. The opinions and text are all mine. Follow Boba on Facebook, Twitter, and Pinterest to get more information about creating lifelong bonds with your children. A few of these links are affiliates. Thank you so much for clicking through them to make your purchases – it helps offset the cost of this blog in a (VERY VERY) small way! You can find my full disclosure here. Welcoming the Newest Little Adventurer…. One of the things I miss most about not having any more babies is that I can’t wear anyone anymore!!! My first child and I were very well known in our neighborhood because I walked everywhere with him on me! It was a great time and I happily did it with his sister and brother! I love the pictures of you and your sweeties!! When my daughter was little I carried her in a ring sling from the time she was a newborn until she was big enough to go in a backpack, and from then I carried her around in the backpack both inside and outside. She was about 1 year old when I first heard of the ergo and I wanted one but at the time couldn’t afford one. That was 8 years ago. Before I had my son last March I purchased an ERGO and have worn him in it almost on a daily basis since the day he was born. I tried a sling and a wrap, but the ERGO just worked better for us. I do wish I had been able to try on a BOBA especially the air. I wish this type of carriers were available in more brick and mortar stores so you could try them on and see how they fit. Aside from not getting to try on the different carriers, I have loved wearing my son in the ERGO. It was because of my carrier that I have been able to lose the pregnancy weight and continue adventuring all summer long. My son went to Fossil Butte Ntl Monument, Dinosaur, numerous hikes, daily walks, and a backpacking trip by the time he was 4 months. His daycare provider even wears him in the carrier. i think baby wearing is a life saver. There have been many moments when the only things that calmed my gassy crying newborn was a walk outside. My only conundrum now is to decide whether I should get a BOBA air, and that I am not sure what I will carry him in when we start skiing this winter because he will almost be big enough for the chariot. I agree – The Ergo or any soft structured carrier just works best for me. I love the feel of the Moby or Boba Wrap, but I seldom have time to actually get them IN while I chase another kid! The Boba Air is an awesome carrier for having and using in the water too. Ours stays in our car so I know I always have one when I need it. 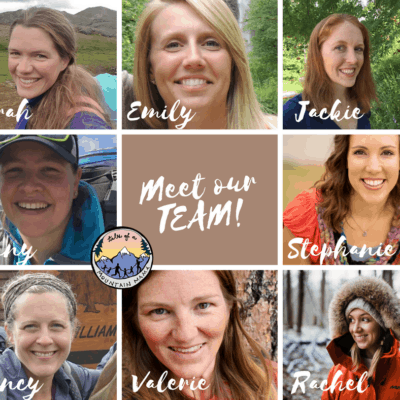 I got a moby wrap as a baby shower gift before my son was born, and I was totally sold on baby wearing through Ground Truth Trekking and other awesome adventure moms. Soon after the kiddo was born, my mom showed up with a home-made Mei Tai carrier. And that thing was awesome. We used it sooo much when the kiddo was little. He outgrew it at around 1 year though. If I’d had a Boba, we would have kept kid-wearing for a lot longer. Both my kids were well worn. The first in the cuddly wrap, mostly cause he was a preemie and super tiny and he just loved it there. The second was worn so I could chase the first. We had an ERGO for him. To this day the oldest is still ultra cuddly and I get lots of hugs from him. I love how baby wearing leaves you with two free hands and a happy child. Win win if you ask me!! 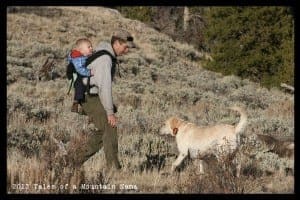 I get crazy looks when I hike with my new baby in a front carrier and my 2 year old in a backpack carrier. 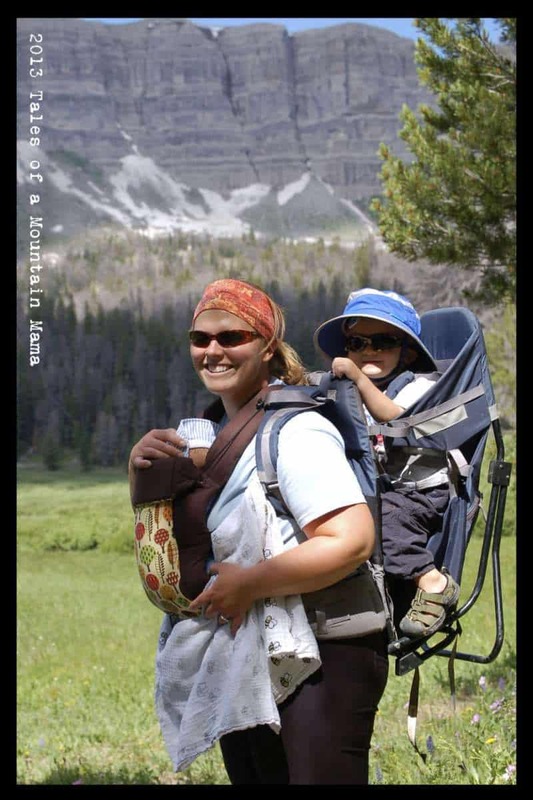 Glad to know that I’m not the only pack mule, I mean Mom out there who does this-nothing burns baby weight like hiking carrying 2 kids! 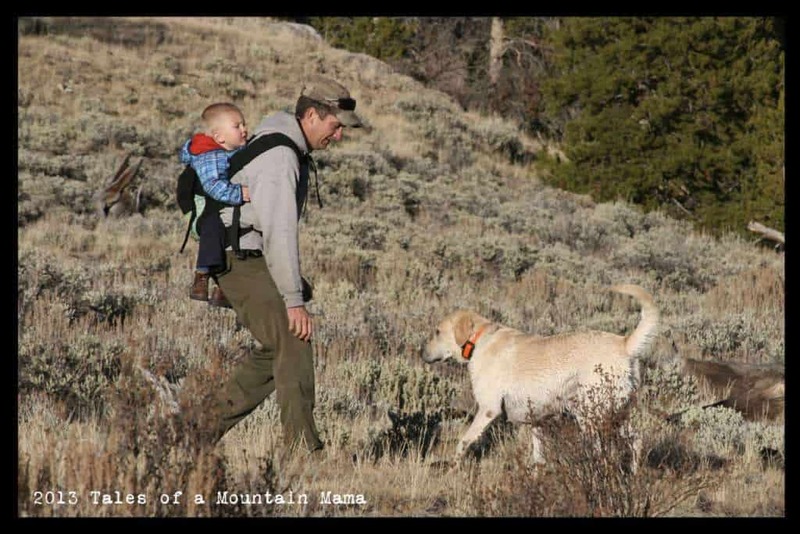 Now if we could get a baby carrier manufacturer to develop a carrier with a sleek design compatible for both a baby on the front and a toddler on the back we’d be set! Love carriers! Aside from the obvious benefit of getting outside and breathing fresh air, our Ergo has always been the go-to when Little E refuses to nap – especially if we’re traveling and his routine is a mess. We have an Ergo Sport and love that it’s so easy to use. I know a lot of people love the wraps, but it was just too complicated for me! Give me two snaps of the Ergo and I’m good to go. My husband has always been happy to use the Ergo, too. One question about the Bobas… how do they do with letting heat escape? That’s our biggest problem down here in Tennessee – we both become sweaty messes if it’s very warm or humid when Little E is in the Ergo. Amy – Personally I think the Bobas breathe a little better than Ergos because the carrier in general is a little thinner (especially the straps) than the Ergo. The Boba Air doesn’t necessarily BREATHE, but it is a lot less fabric (no padding at all, but still tons of comfort) and I take ours in the water all the time too. Let me know if you have any other questions! And yes, I am the same way. I want quick and ready to go (though love the comfort of wraps….)! My son is 3 months old (today!) and I planned on baby-wearing a ton. We have an Ergo that we use a lot outside, and I have a Moby for home or at the office, but he doesn’t seem to like being carried unless I’m walking–so around the house and at work is too stop-and-go to keep him happy. And he is generally a super happy baby so needing to soothe him by walking is not an issue at the moment. I was realizing yesterday that it had been a few weeks since he’d been out for a long walk in the Ergo–I started running again, so my husband and I have been switching off–I’ll go run and then he’ll go bike, while our son stays home with whomever is not out exercising. It made me realize we have to get out on a long walk again soon. With the days getting shorter and the weather turning rainy I know it will be a bit harder but I’m determined to keep him used to being in those. We don’t really plan on getting a stroller so it’s his only option! I love the idea of using a carrier in the water. Not that I go swimming in the ocean here in AK all that much, but if I were in a place that I could do that, I don’t know I would have thought of it. I have seen the Boba Air and it’s on my wishlist… but we already have 3 packs (inc a Baby Bjorn, that I don’t use much) and are looking at a frame pack, so I guess we’re okay for now…!